Susan and Keith Hoogland have made a $5 million gift to name the new undergraduate business minor. A $5 million commitment from alumni Susan and Keith Hoogland names the university’s new trans-institutional minor for business study the Hoogland Undergraduate Business Program. The gift continues a tradition of Vanderbilt philanthropy for the Hooglands, both 1982 graduates of the College of Arts and Science. 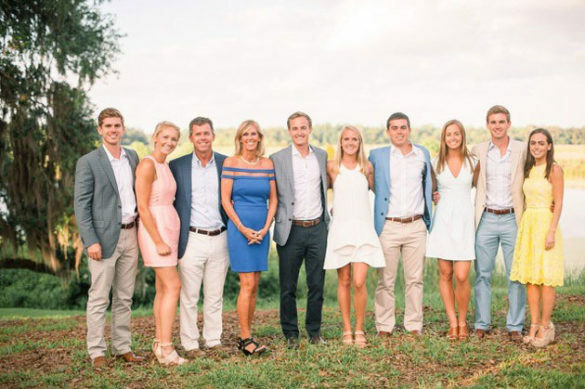 The Glenview, Illinois, couple has supported the Managerial Studies program and also served as Reunion chairs for their 25th Reunion in 2007 and as class fundraising chairs for their 30th Reunion in 2012. In addition, three of their six children are Vanderbilt graduates. Wente added that the new minor complements the strong liberal arts foundation at the heart of Vanderbilt undergraduate programs. She also noted that the minor meshes with key themes in the Academic Strategic Plan through its unique teaching model that draws on the trans-institutional strength of faculty and provides immersive experiences for students. The new cross-campus undergraduate business program consists of a business core—undergraduate-only classes taught by faculty members from the Owen Graduate School of Management—that introduces students to five fundamental business disciplines: financial reporting, finance, marketing, operations, and human and organizational behavior. Students may choose electives from the four undergraduate schools to build “business pathways” according to their specific areas of interest. The courses are designed to actively engage students in solving business problems—whether those occur at a start-up business, a local nonprofit or on campus. Those hands-on opportunities are important to Keith Hoogland, who joined his father’s business after college. He is now president of Highland Ventures and Family Video, based in Glenview, Illinois. Keith and Susan Hoogland, who made a $5 million gift to name the new undergraduate business program, on a Mt. 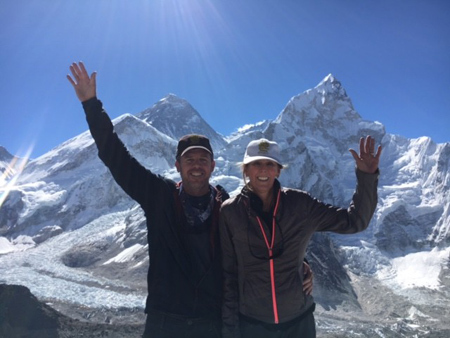 Everest expedition in May 2017. 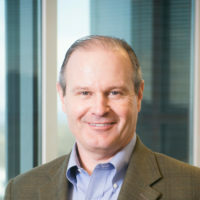 “When I entered the business world, I felt behind because I hadn’t taken classes like accounting or business,” he said. 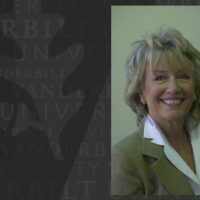 “This new minor will make Vanderbilt’s liberal arts students even better prepared when they graduate.” Hoogland, who majored in economics and psychology at Vanderbilt, says the new minor will make Vanderbilt’s undergraduate education more complete and its graduates more competitive in the job market. A wide selection of courses and experiential opportunities in the new minor will enable students to design a flexible program specific to their academic and professional interests, while increased faculty and administrative resources will offer comprehensive support for students navigating the program. This program’s goal is to enrich the undergraduate educational experience, helping to prepare graduates who can lead in business and beyond. This fall, more than 200 sophomores and juniors are enrolled in classes for the minor. Seniors who have declared one of the existing business-related minors (Human and Organizational Development, Engineering Management, Corporate Strategy, and/or Financial Economics) will complete those programs.